I’ve been invited by Stuggi Crafts to talk about my fibre arts and other projects on stage at the Kreativ Messe in Stuttgart on 25 April 2019. 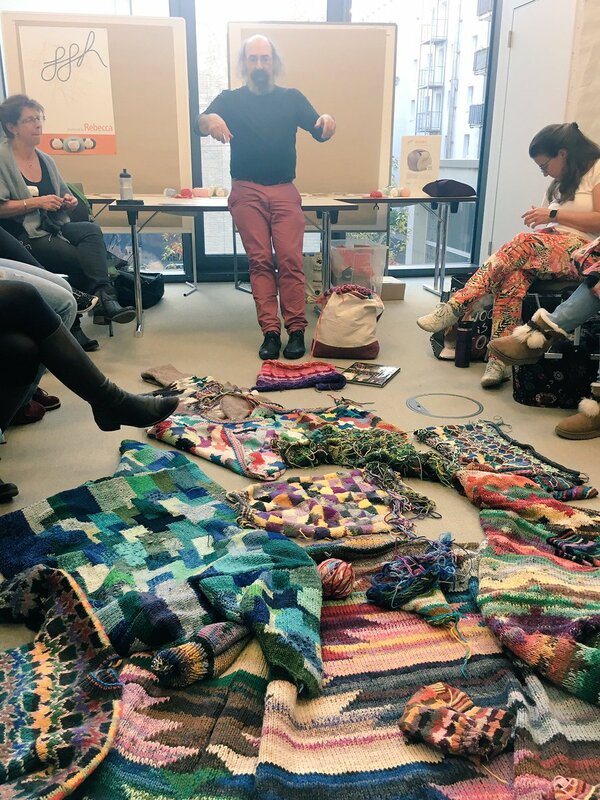 I’ll bring along a bunch of knitted things to show off and talk about how to knit with lots of colours and lots of yarns and have a lot of fun experimenting and pushing your creative boundaries. If you would like to come along and join us, send a private message to Stuggi Crafts on Facebook and ask for an invitation. Tickets are limited, but there are still some left. Here’s the link to the event on Facebook. I’m looking forward to this event, as I love talking about my projects and sharing my experiences and inspiring and motivating other crafty people to knit outside their comfort zone. As Kaffe Fassett says, “When in doubt add twenty more colours!”.